A new Gillette advertisement is causing quite the stir on social media, just days after it debuted on YouTube. The razor company is known for their tagline, "The Best A Man Can Get," but now they're promoting a new campaign — "The Best Men Can Be" — to encourage men to "be their best." 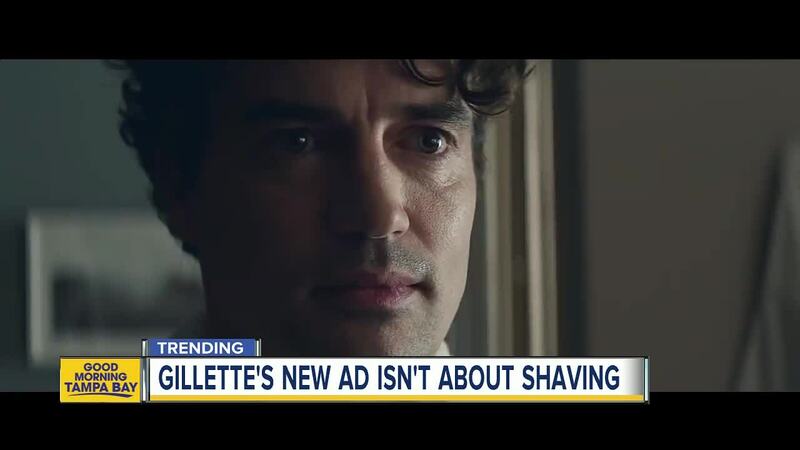 A new Gillette advertisement is causing quite the stir on social media, just days after it debuted on YouTube. The razor company is known for their tagline, "The Best A Man Can Get," but now they're promoting a new campaign — "The Best Men Can Be" — to encourage men to "be their best." The nearly 2-minute-long video draws inspiration from the Me Too movement and tackles issues like sexual harassment, bullying and toxic masculinity. Reactions on social media are mixed. There are many people praising the video for encouraging all men to do the right thing. However, it also has many people threatening to boycott the company, accusing them of lumping men into one group, painting a bad picture for men all over the world. One Facebook user accused Gillette of being sexist against men. Gillette responded "Our intent is not to blame all men--we know many men are already acting as incredible role models. We want to celebrate that and encourage these men to hold others accountable, because a few bad apples are a few too many. We will also be holding ourselves to a higher standard. Because it’s only by challenging ourselves to do more that we get closer to our best." Another Facebook user saluted the company and said "As the mother of two boys that I am trying to teach how to grow into caring, loving men I salute you!!! Thank you for taking ownership!!!" As of Tuesday morning, the video had nearly 3 million views on YouTube. So, you be the judge, what do you think of the new advertisement? The caption of the video reads: "Bullying. Harassment. Is this the best a man can get? It's only by challenging ourselves to do more, that we can get closer to our best. To say the right thing, to act the right way. We are taking action at http://www.thebestmencanbe.org . Join us." Gillette says they will donate $1 million per year for the next three years to non-profit organizations with programs in the U.S. that "inspire, educate and help men of all ages achieve their personal "best" and become role models for the next generation." They announced that their first partner in this new effort is The Boys & Girls Clubs of America. Click here to learn more .